Sachin crosses over to Apollo Tyres from MRF: Betrayal or business? 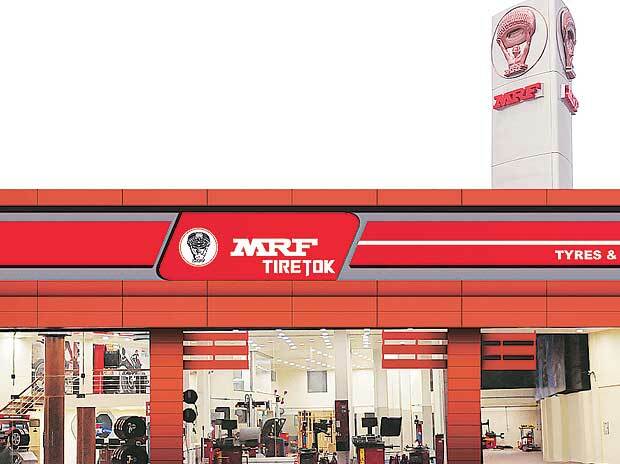 Tyre major MRF Ltd Friday said it has bagged the top rank in terms of customer satisfaction in the J D Power 2018 India Tractor Tyre Satisfaction Index Study. MRF Tyres performed strongly in the four tyre performance-related factors - durability, traction, ride quality and appearance, a press release from the company said. The JD Power 2018 is the inaugural edition of the tyre satisfaction index. The recognition highlights the position of MRF in the market as the most preferred farm tyre brand among tractor owners, the release said. The study also finds that satisfaction with tyres was higher when customers personally choose the brand installed on the tractors, it said. MRF offers the range tyres to OEMs (original equipment manufacturers)under the farm portfolio, it said. Executive vice-president (marketing)of MRF Tyres Koshy Varghese received the award from J D Power, Practice Lead for agriculture and construction equipment, Yukti Arora at an event recently, the release added.